Are you a Senior CADD professional who enjoys the back-end technical landscape? Are you ready to apply your strong organizational skills to managing enterprise-wide implementation projects? If this describes you, then come work with us at Seattle IT! 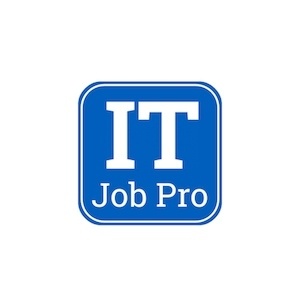 The City of Seattle is seeking a dedicated technology professional motivated to provide excellent service in Citywide support of Computer Aided Design and Drafting (CADD) and Survey software and hardware in the Seattle Information Technology Department (Seattle IT). 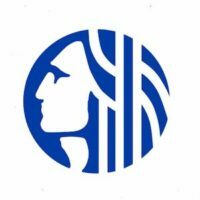 This role will have support responsibilities for CADD and Survey users across all departments, including Seattle City Light, Seattle Public Utilities, Seattle Department of Transportation, Seattle Parks and Recreation, and others. In addition to back-end technical services, integration of CADD and Survey tools, management of custom CADD tools, and Tier 1 and Tier 2 end-user support, this role also facilitates sound governance of CADD development work, to ensure business needs are met while aligning with citywide technical strategies for system sustainability. This is a technical lead role on a team of highly skilled CADD administrators. The successful candidate will have a solid understanding of CADD implementation in a large organization, familiarity with survey software, and experience in integration of these systems with data and document management systems. You will engage with team members and customers daily, so strong people skills and the ability to build positive working relationships is crucial. This is an ideal opportunity for someone who enjoys variety in their work, is committed to public service, and is looking for a challenging position in a team-oriented tech organization. The team supports over 800 CADD and survey users, with multiple business-specific customizations and integrations. The team’s skills cover a broad range of applications, productivity tools, data management, data transformation, and document management systems. The knowledge and experience of the individuals on the team provides the City with very strong technical support. The team is part of the GIS and CADD Operations Team of the Applications Division in Seattle IT. Oversee design, development, deployment and administration of complex enterprise CADD systems (including servers, workstations, and mobile devices) serving approximately 800 installations in multiple City departments.Participate and provide guidance in overall architecture, monitoring of system health, and planning for disaster recovery. Collaborate with the rest of the CADD Operations team to manage, administer and maintain all aspects of the City’s CADD and survey environment. Provide direction in the development and management of goals, objectives, vision, work plans, policies, procedures and work standards for citywide CADD and survey services. Serve as the City’s technical lead on information technology implementation projects and planning efforts with respect to utilization and integration of CADD and survey with other city systems such as GIS, Oracle, Office, etc. Develop citywide CADD technology roadmaps. 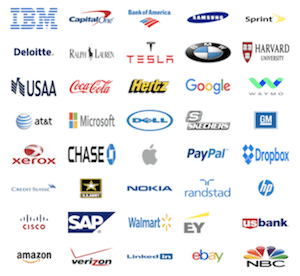 Manage software vendors, tracking reported issues, building productive relationships. Facilitate sound governance of CADD development work, to ensure transparency in defining and prioritizing CADD development and enhancement work. Document detailed business requirements, business rules and functional requirements. Create test plans, write test procedures, test, and work with business staff for end-user testing. Perform application maintenance tasks including but not limited to: software upgrades, and updating application configurations to meet changes in the business needs. Work with other IT teams in Applications and other divisions as needed to meet Seattle IT’s standard levels of service. Note: Equivalent combinations of education and experience will be considered for the required qualifications. Experience with data analysis, and presenting data results at a management level, including development of charts, etc. Please submit a cover letter and resume to be considered for this position.